Hello Friends! I hope your enjoying beginning of week so far! about me... I'm just lost in chocolate!!!! It's Tuesday, still 5 more days to Valentine's Day and seems like whole world is just covered in chocolate! Every where I see, TV, Ads, blogs, or social media, everyone just want to talk chocolate! I think, it's the magic of love and seductive chocolate taste that wins every heart! Felt like, I can't stay away from chocolate too! So, here you have it!!! 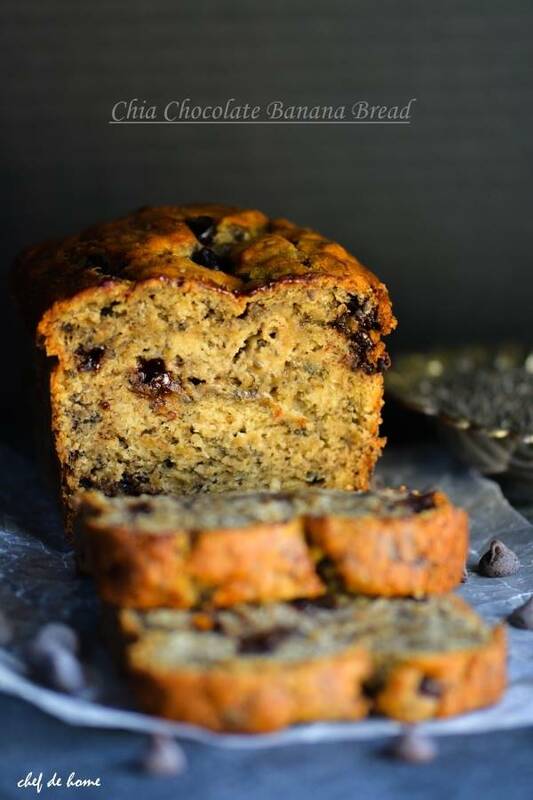 Sharing with you a moist, decadent, chocolaty breakfast banana bread with delicious and healthy crunch of Chia seeds! 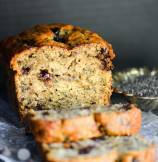 Even with all it's chocolaty goodness, banana taste, and moist texture, this bread is not heavy on bananas, or even eggs, and has a good serving of chia seeds. How good does that sound? Trust me!! 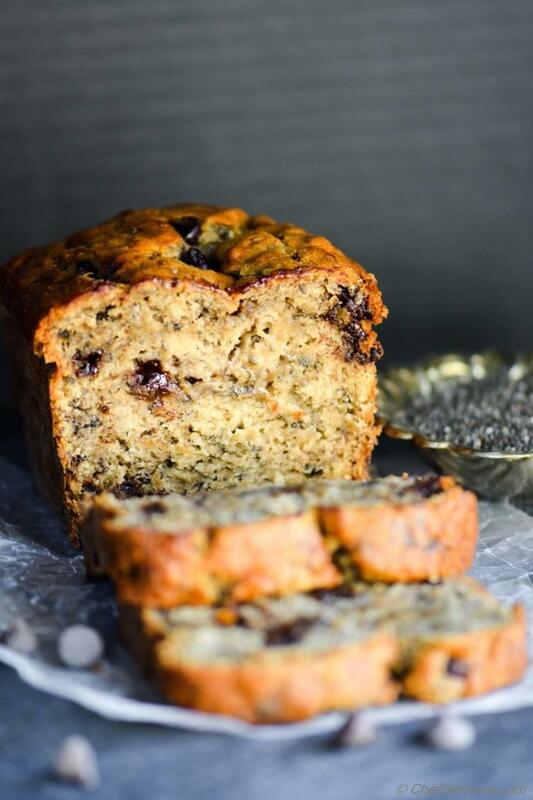 When chocolate, chia seeds, and banana meet in a loaf pan, delicious magic happens! Whole kitchen smells like a banana and chocolate factory working hard, to please every taste bud, on Valentine's Day! and crunch of chia is a total hidden surprise! I would say, this is "THE breakfast bread" any day of the year! and if that happens to be a weekend, with your loved one, with a cup of hot coffee, even better! Chocolate Chip bread is best when served warm! So, either serve fresh, just out of the oven warm Or warm it a bit in microwave before serving! In taste, I love the bite of melted chocolate chips here-and-there with surprisingly delicious crunch of chia seeds! totally addictive! So enjoy a delicious, comforting, heart-warming breakfast with your Valentine this year and don't forget to serve some homemade chocolaty yet healthy Banana Bread! Have a great (chocolate-y) day! Love Chocolate? I have some more for you! 1. Set one oven rack to lowest level. Preheat oven to 350 degrees Fahrenheit. Coat a 9" loaf pan with butter and flour, set aside. 2. 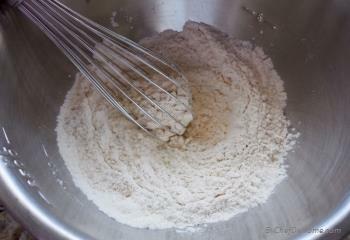 In a bowl, mix flour, salt, baking soda, sift using a whisk and set aside. Also, soak chia seeds in lukewarm milk and set aside. 3. 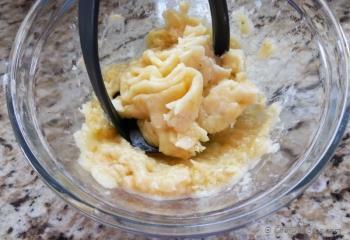 In a bowl, add peeled banana and mash using potato masher until fully mashed. 4. In bowl with banana, add egg, melted (slightly cooled) butter, milk with chia, sugar, and coffee extract. Whisk to combine all ingredients fully. 5. 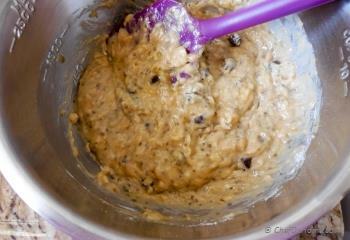 In bowl with flour, add chocolate chips and mix. 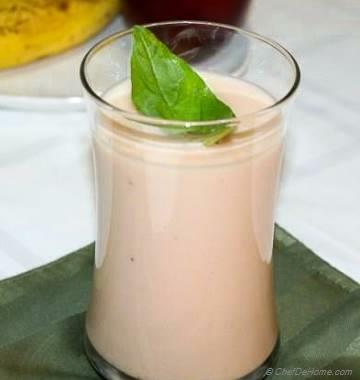 Now add banana and egg mix and fold the mixture until just combined. Don't over-mix. 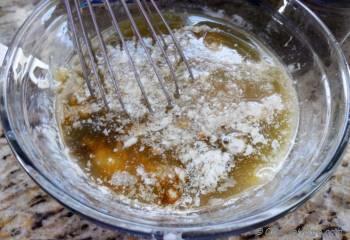 Batter will be lumpy and may have a streak or two of dry flour. 7. 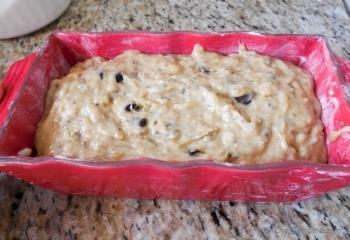 Cool Banana bread in pan for 15 minutes, then transfer gently to wire rack for further cooling. Best when served warm with some sweet cream butter. Enjoy! Loved it! I replaced half of the flour with sifted whole wheat flour and replaced 2 Tbs of the butter with Greek yogurt. I also used a bit less than 1/2 cup sugar.. Will definitely make it again! Fran, thanks for trying banana bread. Also, happy to see a few healthier replacements you made. I will try these next time I bake this bread. You have wonderful day! Hi Shawna, I apologies for answering late to your question. Yes, it needs 1/4 tsp salt which was missing in ingredient list. Even though salt enhances the flavor, I'm certain texture of bread will not be affected without it. I hope you liked the final bread. Have a great rest of the day. Mira, thanks! 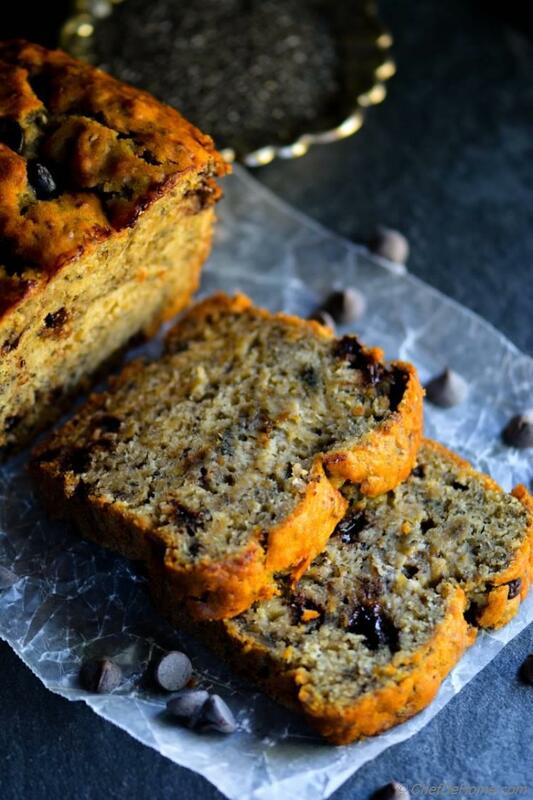 I'm sure you will love the taste and texture of this banana bread! also many thanks for the pin! Great bread and I love how you used chia! I love the combination of flavors! Can't wait to try it! Jen, thank you so much!!! I love, love, love banana bread. 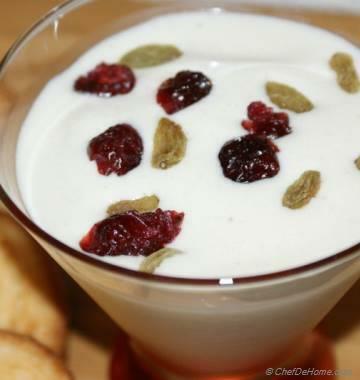 This one is mouthwatering! Padma, thanks! 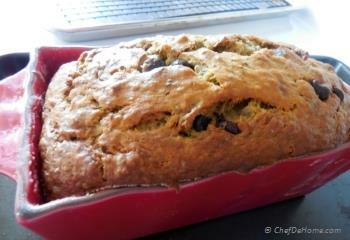 so right, chocolate oozing from warm banana bread was really divine! Gayle, thanks! Indeed, banana bread was very moist! loved it! This bread looks amazing, Savita! 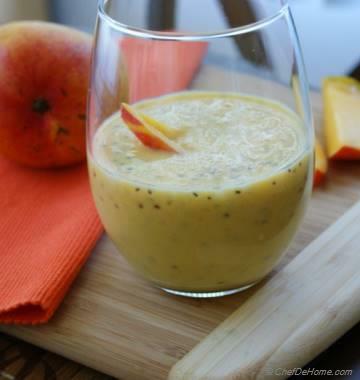 Love how moist and full of flavor it is, especially with chia seeds! Anupama, thanks! I think you summed essence of this bread in your words! Manali, thanks! you know, I did add chia seeds for healthy reasons, but once I tasted the bread, I actually liked the crunchy texture of chia seeds even more! and many thanks for the pin! Olivia, thanks! I'm glad you like it! I could have a whole loaf of this Banana Bread just for myself, right now. It looks amazing! Pinning!